$303.70 You save 15% ($44.44). 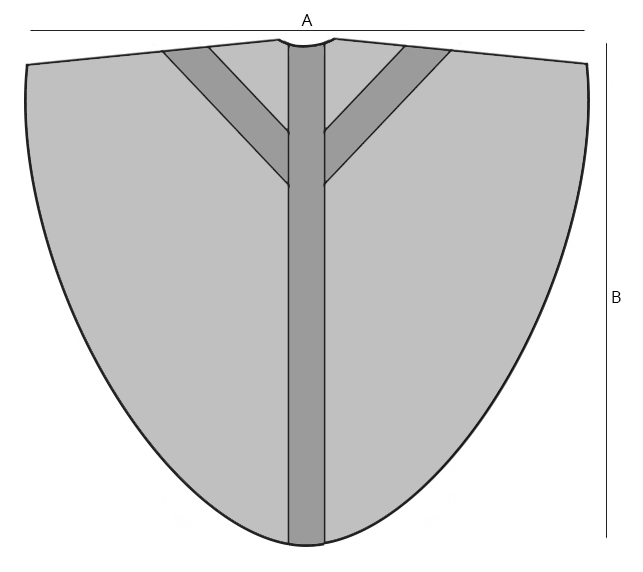 The chasuble was well made and appealing. it does look better that the web picture. It was a good value. 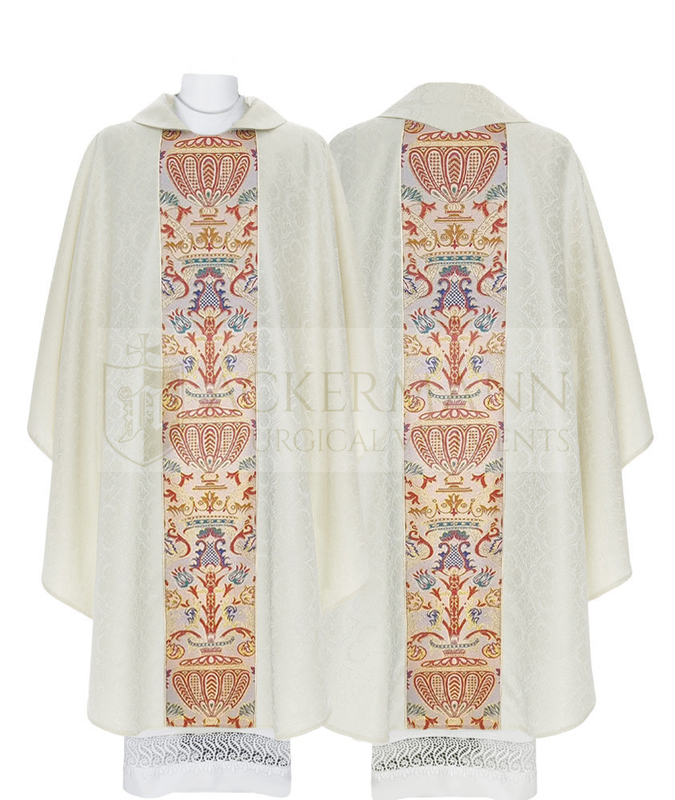 A very beautiful vestment. Looks great from a distance as well as close up. One for those special feasts. A spectacular chasuble. It has received many positive comments from our congregation. This vestment is very lovely. The picture doesn't do it justice. 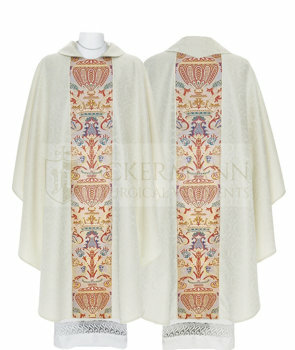 We wore this chasuble last weekend for Pentecost. Ackermann customized it with a full collar as I requested. I give them 5 STARS for quality, workmanship, communication, service and delivery!!! Extremely fast shipping, item as described, well packaged, great seller. Beautifully made dalmatic. Excellent price and quick shipping when the order was completed.